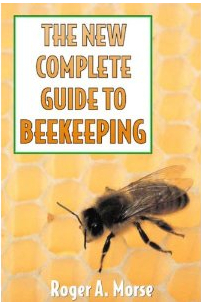 The Beekeeper's Home Pages is happy to make this brilliant listing of great beekeeping-related Books and Videos. Bad Beekeeping is the most interesting best-seller in the beekeeping world! a fantastic story about the life of a beekeeper! in Florida and Saskatchewan. Dream or Nightmare? You decide. An editor of Bee Culture Magazine has called it "The best book I've ever read!" Get a copy of Bad Beekeeping through Amazon.com. Click Here to order this video now! Africanized honey bees invaded the USA? the results of Killer Bees attacking the city of Houston. Priced at about US$15, available from independent sellers through Amazon's site. order on line... Click Here to order this classic video now! The title tells it all. Beekeeping is a personal journey. 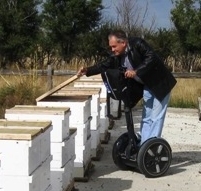 See how this Texas beekeeper did it. New because it contains some of the latest on mite control and beekeeping trends; Complete because it very nearly is. Intended for new and old beekeepers. Includes buying a colony of bees; managing bees throughout the seasons. Will help you at selecting equipment and a good apiary site. How to do it advice on: Preventing swarming; Extracting, processing, and selling honey. Tips on Controlling pests, predators, and diseases and Rearing queen honey bees. 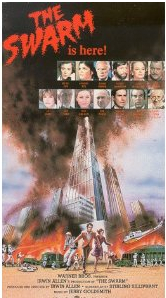 edited by Roger Morse and others. This encyclopedia of beekeeping covers everything. Owned by most commercial and hobby beekeepers. 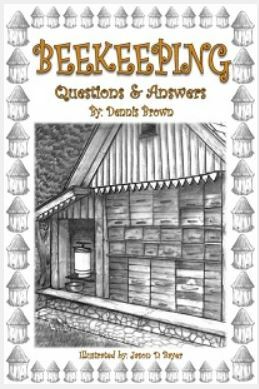 This is the 40th edition of a classic in beekeeping. Everything you need to know in encyclopdia form. how they make their honey. Need more choices? You can run a search from here! The Bad Beekeeping: The Beekeeper's Home Pages website is mostly written by Ron Miksha, who lives and writes in Calgary, Alberta, Canada. Ron's honey bee blog is updated at erratic intervals, with sticky new entries typically pasted in weekly. Photos and art are his own - unless otherwise attributed - or are from public domain sources. Opinions expressed herein do not necessarily express anyone's opinions - not even the author's. Please follow this link, if you insist upon more details. This site covers almost everything about the beehive, bees, and honey. Ron has worked with bees in Pennsylvania, Florida, Wisconsin, Saskatchewan, and Alberta and peeked into hives on three continents. Read our site for honey bee tips and opinions on everything from colony collapse disorder and Africanized honey bees, to queen bees and bee pollen, to building a hive and hiving a swarm... it's all here, but mostly this site is a chronicle of opinions and observations about the environment, politics, and culture. Ron has written dozens of bee journal articles and has also penned the book on Bad Beekeeping , which is called "Bad Beekeeping," for obvious reasons. If you are wondering why this blog is sometimes weird and hard to understand, it may be because Ron is also a geophysicist - but has also been a beekeeper for a few dozen years. Ron's family operates Summit Gardens Honey Farms, a western Canada honey bee farm specializing in comb honey. So, this blog might be considered "A Physicist's Guide to Comb Honey Beekeeping Gone Bad". All comments and opinions are offered without any qualifications, guarantees, or recommendations that any procedures or suggestions offered here will be successful, useful, legal, or safe in your area or with your bee system. This site is largely editorial and sometimes recklessly presented. If you strongly disagree with things you find here, send Ron a note - or keep reading as you are likely to find he also advocates an opposite point of view elsewhere on the website. Do you Twitter and Tweet?